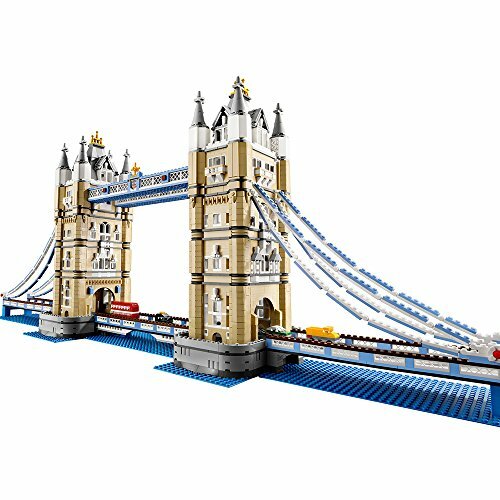 Stretching over the River Thames since 1894, the famous Tower Bridge of London, England is one of the most recognizable landmarks in the world. 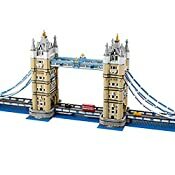 Now you can add this timeless classic to your LEGO® world buildings collection! 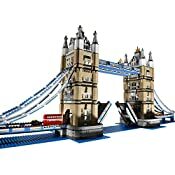 Designed with advanced building techniques and rare colors and elements, Tower Bridge is complete with its iconic paired towers and a drawbridge that really opens. 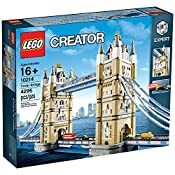 Fun to build and display, it locks together solidly but can be taken apart in sections for easy transport. 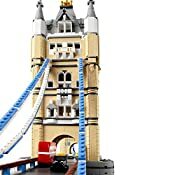 This fun toy includes 4 miniature vehicles: a black London taxi, a traditional red double-decker bus, a yellow truck and a green automobile. 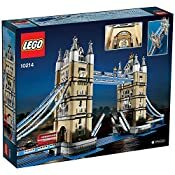 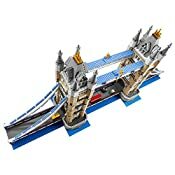 Build the famous London Tower Bridge with a real working drawbridge!